Options To Meet All Budgets Starting at only $26! Relaxing Discreet Studio And Waiting Area. Kid Entertainment: Movies, Snacks, Games, And More. In No Time Everyone Will Be Leaving Lice Free, Happy, And Relieved! A thorough inspection of the hair is performed including a full dry comb with a professional grade lice comb to ensure we don't miss a thing. If found, evidence will be shown, and treatment will then be recommended. A full combing with treatment product applied afterwards. Cost includes up to one hour of treatment time and a professional grade lice comb. Great for those who have some know how and confidence, and don't mind putting in some work, but would like to save. With this option you will have to follow up at home with combings with the included professional grade comb. Follow ups offered at the regular head check rate if desired. Complete lice and nit removal which includes full comb out with treatment applied, plus our certified "Strand By Strand" check to make sure you leave our salon 100% lice free. There is NO homework to do on your part with this option. We also will not require any product purchases for success. Includes all of the above as well as our 100% lice free guarantee and 2 FREE follow up appointments. Our friendly experts come to you! We will perform our same treatment process in the comfort of your own home for your convenience and discretion. Complete lice and nit removal which includes our lice free guarantee* and 2 FREE follow up appointments in salon only. Includes all above. 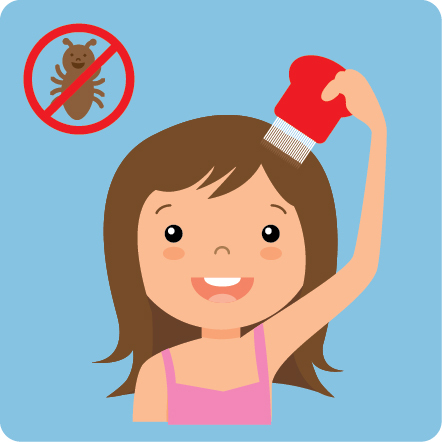 Professional lice removal services may be covered by your health insurance plan. We are HRA, FSA, and HSA account approved. We will provide the necessary codes on your invoice to get your services covered. Check with your insurance provider for pre-approval. Obtaining a doctors note may help get your services covered as well.